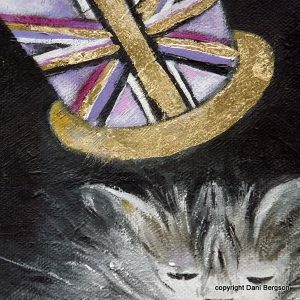 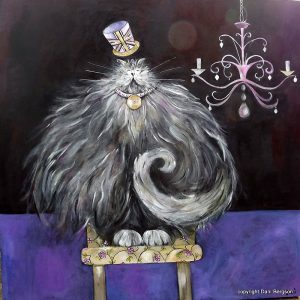 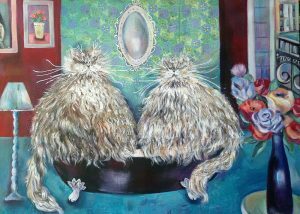 “The Furmily” by Dani Bergson is a very stylised, quirky piece of Cat Art. 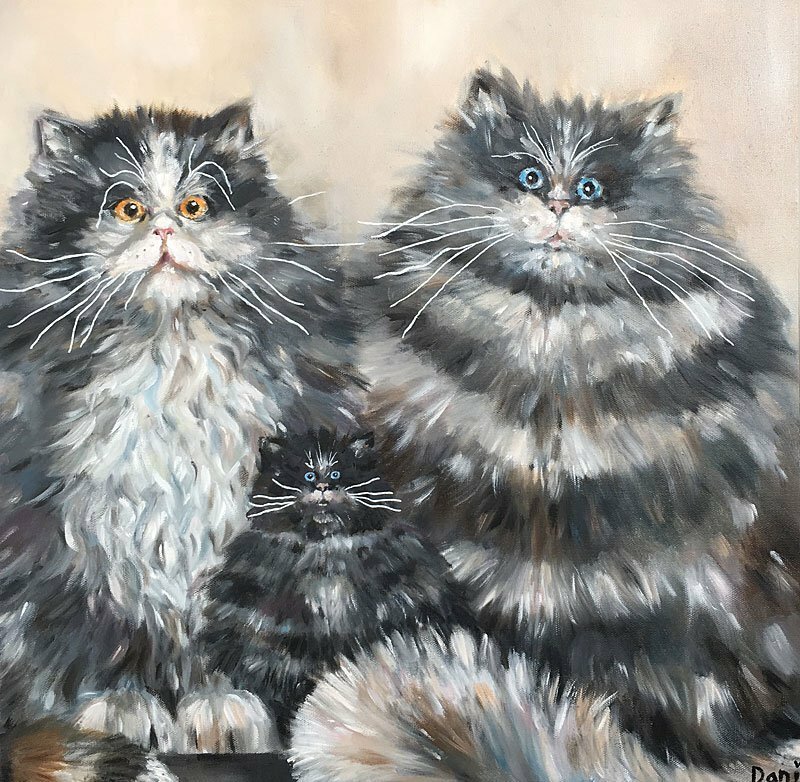 Featuring Three cats together. 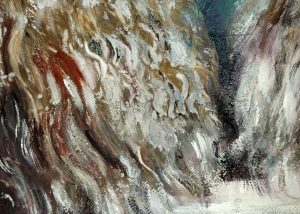 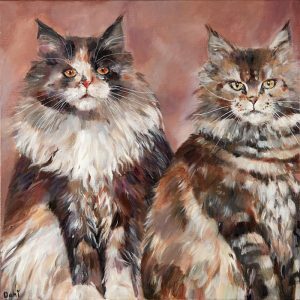 Painted in Oils on a Box canvas. 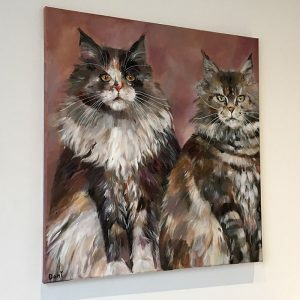 This piece would make a welcome addition to any cat lovers wall.